Everyone's rating [Performance] TouchandSwing are excellent. "Horizontal - A concept" expands the sweet area and the explosive acceleration force of SBZ fires the shuttle. Yoshiki	（Experience：６〜１０ years）	How many people can master it? It is a feeling that I tried using honest singles player or exclusive use. Everyone using this racket will not be able to hit a fast ball and the head is small so I feel that the flight is bad if I do not capture the shuttle securely. However, if you can make this hard shaft firmly, I think that you will be able to mass produce fast balls and powerful balls. 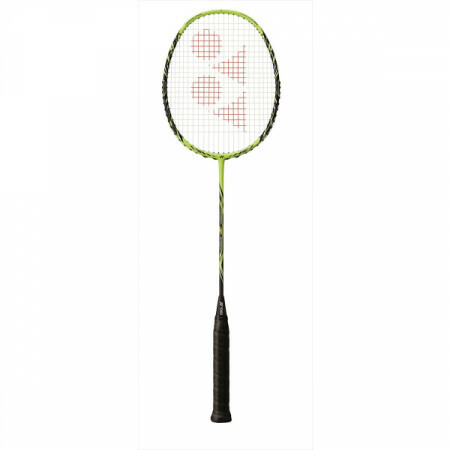 The badminton racket I would like to recommend is the top model "Z - SPEED" of the NANORAY series. It was a racquet using top players Tanaki and Momota players, because it was a "frightening racket that blew out the smash world record" which became a trigger for purchase. I bought this racket which I can not say that the price is about 26,000 yen never cheap, thinking that this is enough as the reason why amateurs choose racket. The impression when I first used it, I will play it a lot. Because it is a compact frame, the sweet spot is narrow, I will not fly when I remove the core, but it seems that it fitted to me and it was very relaxed. It is an impression of 3U. It is a racket that can be used with singles and doubles, it is very easy to use. Smash is easy to strike, and swing is a very good racket. It is a racket with high tension, so it is recommended! Yu	（Experience：４〜５ years）	Nano-Level ZT Speed is recommended! The racket has a hard shaft and the surface of the racket is small, so the force will be transmitted directly. As expected it is only to say that the world's fastest smash beating out. However, for advanced users, there is no weight for smashing, it is recommended for playing style who places importance on speed. This review is my impression of borrowing from a friend and hitting it. First of all I want to say that Smash is Balikso so fast. (Strong titanium 23 lbs) Although it is a headlight, there is no delay of the head, it is a nano ray series, it is a compact frame so swing out is very good. Other shots are also nice and the cut penetrates deeply. kazu	（Experience：１１〜２０ years）	High rebound racket !! There is only a racket that recorded 493 km of Guessness record of Smash, swing out and speed of smash is considerably increased !! Although balance is even, it feels a bit headlight. Although the shaft seems to be stiff, there is also a feeling of being struck, I do not feel that hard. With good swinging and high rebound, we can hit a fairly fast ball in the drive, and if it is 3u we have no problems with handling. I am in the bracket because I like head heaviness, but if I have no resistance, I think that you should use this racket once and think that you will be surprised at the high performance of the racket !! Because of the even balance in the compact frame, the swing speed surely rises. Just because the sweet spot is small and the shaft is too rigid, it may be difficult to hit clean up until get used to it. People who are familiar with the Z series think that it is a racket that can draw out the smashing power to the maximum. As a shot other than smash, I think that it is relatively easy to control soft shots such as Robbed Course and Short hairpin of Singles, while it is easier to use in a doubles drive battle or deployment that requires an earlier touch I will.